We manufacture pharmaceutical laboratories to your exact specifications, ensuring compliance with industry standards. We understand the complexities and variety of requirements of pharmaceutical laboratories and we can provide invaluable advice and guidance during the consultation phase with our design experts. 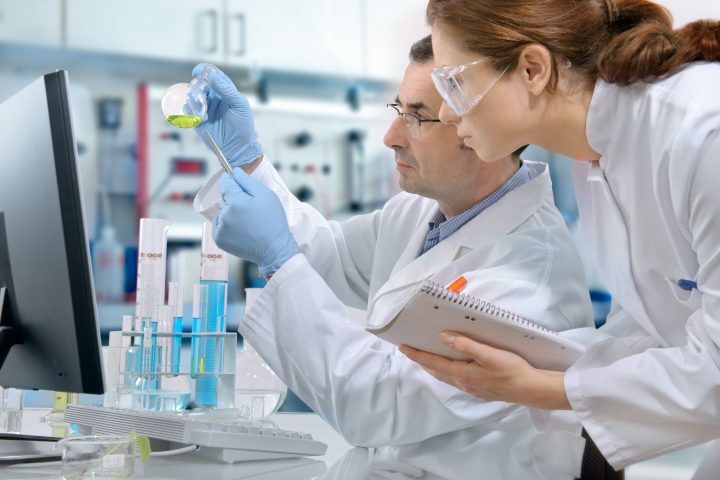 All our materials are of the highest quality and will be selected to ensure the meet the demands of your particular testing, research or production environment. They are assured not only to meet the operational requirements of your sector, but will also continue to look great even with heavy use, projecting an impressive, professional image to prospective clients. We can also manufacture supplementary units for your testing or production equipment and ensure everything is fully integrated within the rest of your laboratory design. All of our furniture is manufactured to order, and we love a challenge so no matter the size, shape or unusual aspect of the design required, you are ensured the perfect bespoke solution for your pharmaceutical laboratory. We also pride ourselves on delivering a project on time and to an agreed budget with the minimum of fuss and disruption to your business. For more information regarding manufacture of pharmaceutical laboratories – please contact us for a no obligation free consultation.